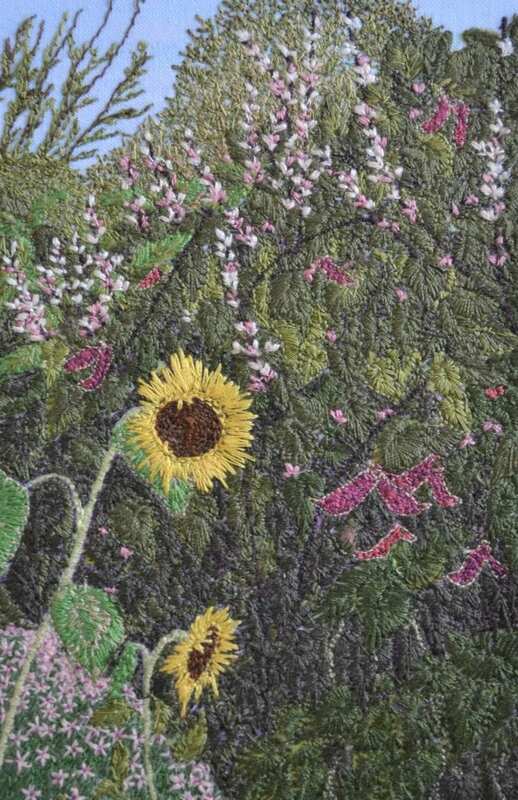 The textile work of Judi Miller is influenced by the detailed natural elements of landscapes. The shape, form and movement of the continually changing landscape provides inspiration. Working from photographs to start the creative process, with threads to provide colour, texture and pattern on a fabric base. Free motion machine embroidery is her primary tool. The choice of artist’s tool is secondary to striving to evoke a feeling of memory or place. 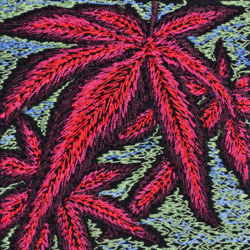 Judi Miller is a textile artist specializing in free motion embroidery. Using a variety a threads, colour and weights, she creates pieces with finely stitched details on a painted fabric base. Miller uses her sewing machine as her choice of artist’s tool, no different from a paint brush or pencil. Miller’s inspiration springs from so many sources but most often explores the natural landscape. Her embroidery technique lends itself to capturing light, colour and movement that help create a strong sense of memory and place.